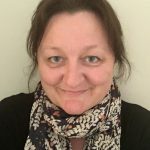 Terri started creating children’s content in 2011, after 15 years working as a producer in sport, all factual genres and as head of development for indies in London and Manchester. After having her twin boys and becoming increasingly absorbed in the programmes they watched, Terri joined BBC Children’s in 2011 and, for almost four years, led the CBeebies in-house development team, where her commissions included BAFTA-winning Old Jack’s Boat and Swashbuckle, RTS-award-winning CBeebies Stargazing and brand new series Biggleton. She joined Hello Halo in 2017 as exec producer of their brand new CBeebies series Junk Rescue and now heads up their children’s department where she spends her days watching kid’s TV, reading kid’s books and playing kid’s games, all in the name of research. As a member of the Children’s Media Foundation’s Executive Group, Terri edited their annual publication The Children’s Media Yearbook for three years until 2018. She now looks after events in the North and Scotland.